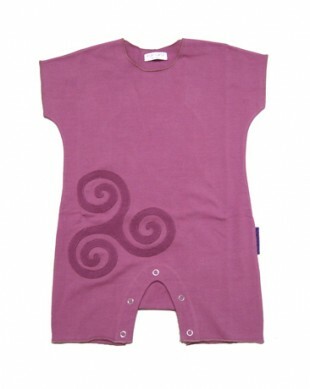 Berry minimal onesie with celtic design applique detail. Also available in midnight, mint-ash and licorice. GOTS certified organic cotton/lycra for ease of wear and comfort.